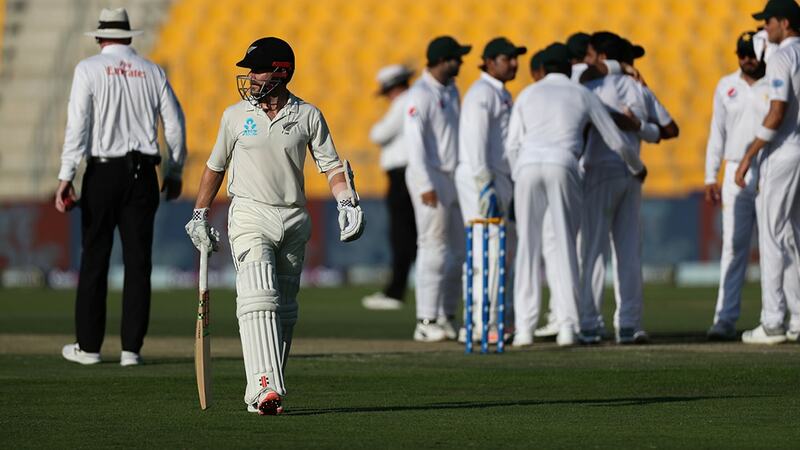 New Zealand have closed the first day of the Third Test of the Oye Hoye 2018 Pakistan vs New Zealand Test Series presented by Brighto Paints, having pulled together 229 runs for 7 wickets. 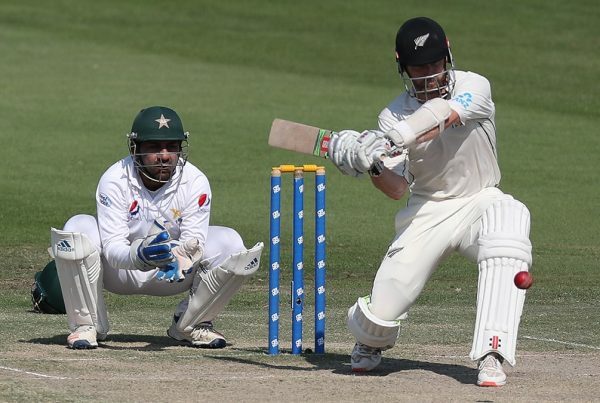 Although the Kiwi innings will stretch into the start of the second day, Pakistan will be looking to grasp the advantage presented to them by the Kiwis who seemingly buckled under the pressure of their spin attack. 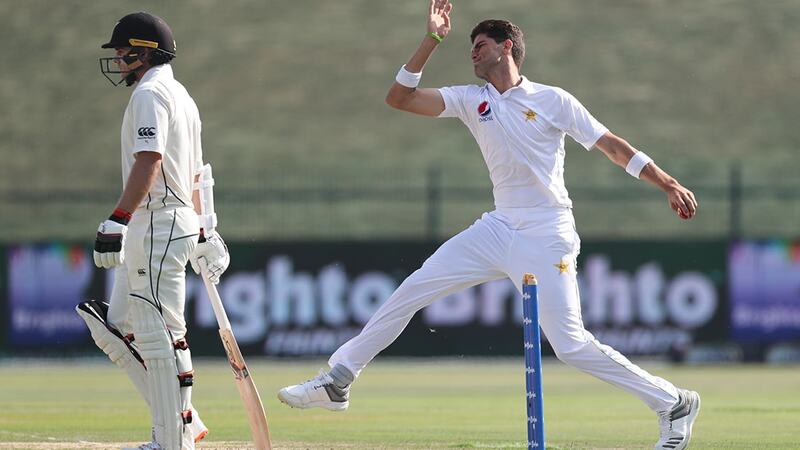 During the morning session, the Black Caps seemed to be in hot-water as the tourists slumped from 70 for 1to 73 for 4 after Tom Latham, Jeet Ravel, Ross Taylor and Henry Nicholls fell in the face of Pakistan’s strong bowling line-up, with Shaheen Afridi and Yasir Shah working together to create a Kiwi collapse. 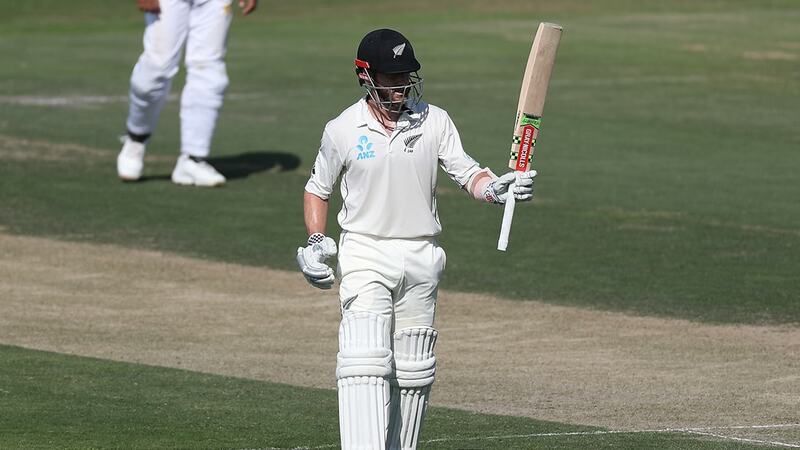 After lunch, Captain Kane Williamson and the right-hander BJ Watling had a mountain to climb to claw back New Zealand’s first innings to save the game and the series. 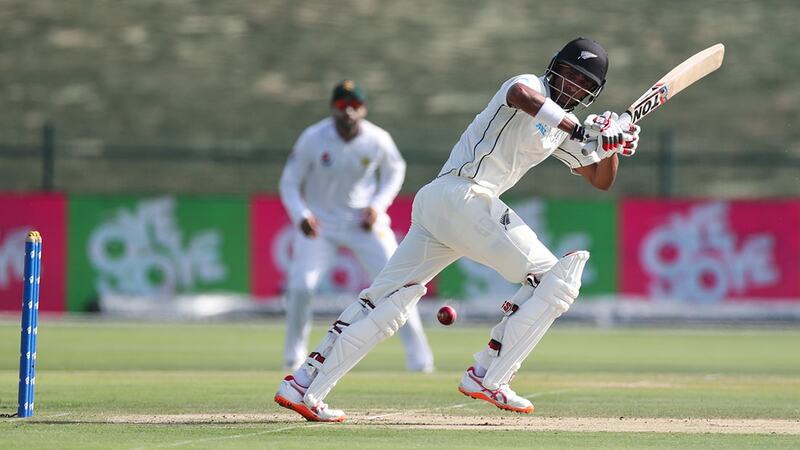 The pair however, seemed ready for the task and through using some careful skill with the bat, they steered New Zealand back on track with a partnership of 104. 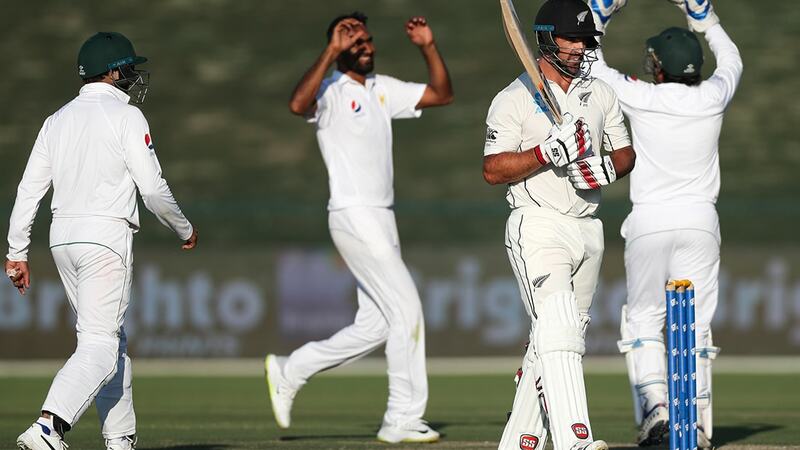 Pakistan’s bowlers were steadily frustrated across the course of the afternoon, as Williamson reached his half-century and went on to end up on 89. 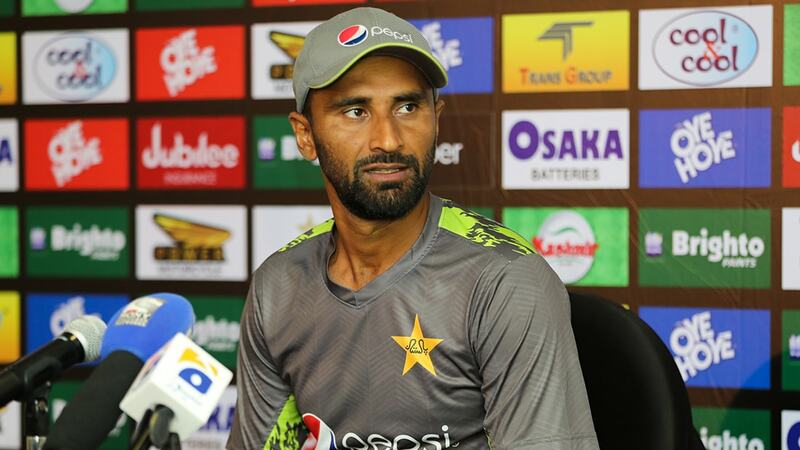 However, after a ball seamed in from Hasan Ali, Williamson knocked it into the hands of Asad Shafiq at short midwicket, leaving the Captain resigned to the changing room and Pakistan rejoicing having secured a major wicket. 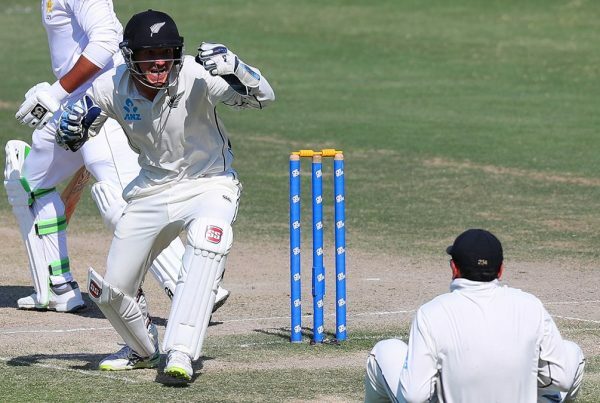 Colin de Grandhomme arrived at the crease and brought his short-form batting skills to bear, knocking balls to and over the boundary. 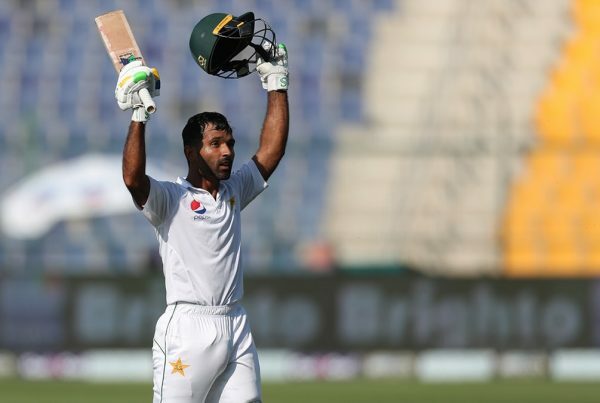 He was able to make a quick 20 off 22 balls, but lost his wicket when he scuttled a ball from Bilal Asif to Asad Shafiq, standing ready at short mid-wicket. 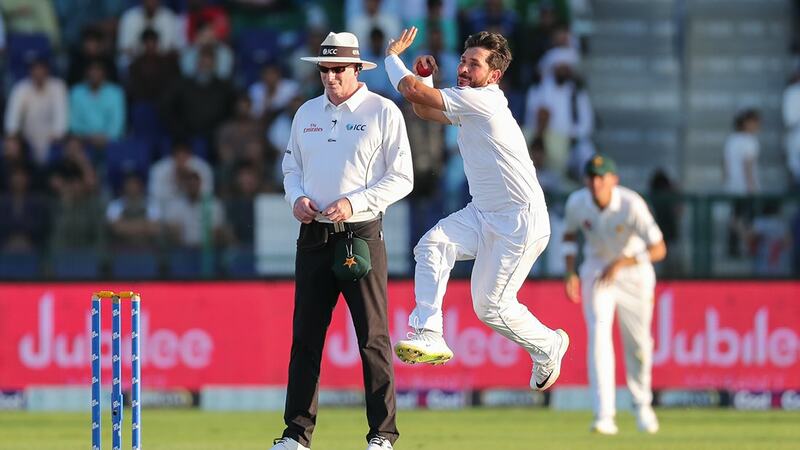 Bilal struck again when Tim Southee scooped a ball up high in the air, to be comfortably caught Babar Azam for 2. 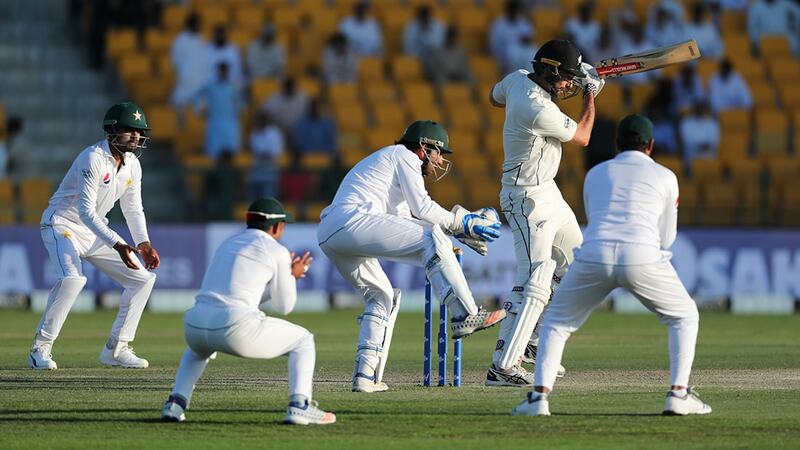 With New Zealand now on a difficult 209 for 7, Pakistan’s fielders seemed a bit more relaxed on Zayed Cricket Stadium’s pitch. Test debutante Will Somerville came out to join BJ Watling at the crease and the pair sought to close the Black Caps’ session with leaving some hope for continuing the innings into the second day. 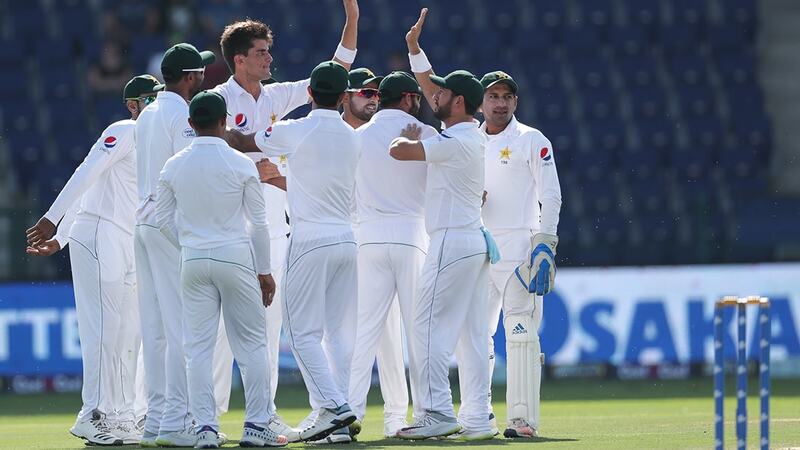 The two batsman kept their cool at the crease, playing careful and defensive shots against Pakistani spinners Bilal Asif and Yasir Shah. 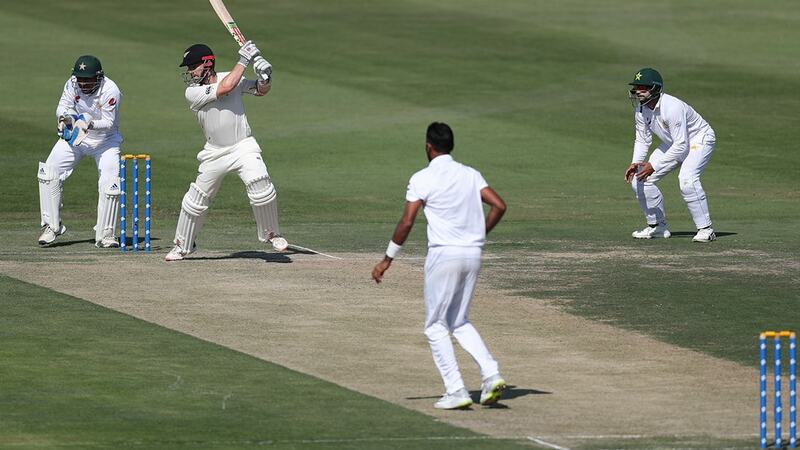 Somerville and Watling managed to keep their wickets with Watling having faced an impressive 180 deliveries throughout the day, meaning New Zealand will continue their innings when play restarts tomorrow morning. 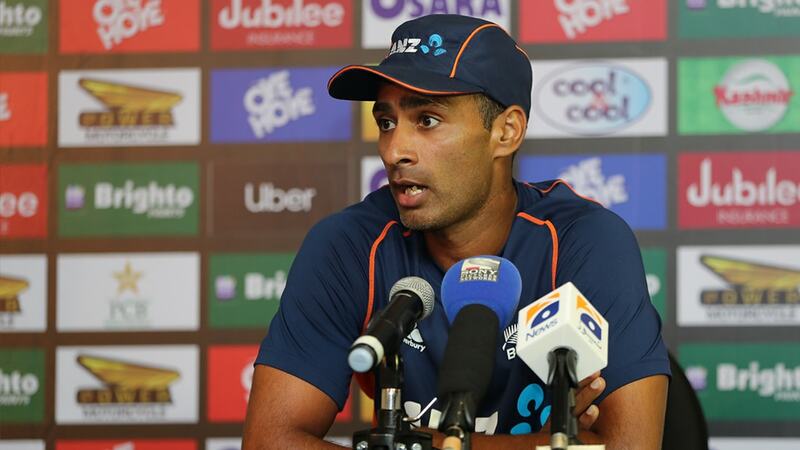 New Zealand opening batsman, Jeet Ravel, said after the match: “I think it was definitely a good toss to win, and as we saw, the wicket is getting harder to bat on, so from our judgment it’s going to get harder and harder. 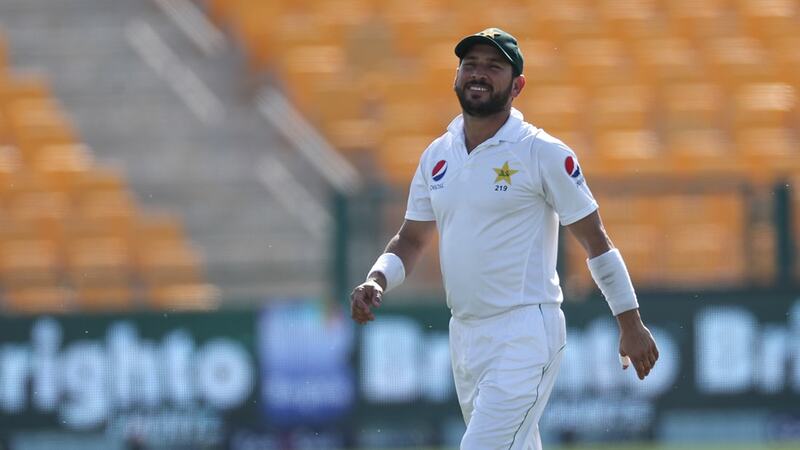 “We got a decent score in the first innings and hopefully we can put on a few more tomorrow morning and then put Pakistan under pressure in their first innings. Entry to the second day of the First Test is free for all spectators. Gates open at 9am with play commencing at 10am.